The Event of The Year is coming right up! Aunty Beh is getting married next month! Aunty Beh is Dad's sister and we are all getting very excited for her! Woohoo! Unfortunately I will not be able to attend the wedding as it is held in Singapore, but if I could, I would go to the groomer's to have my hair styled and put on a bow tie for her big day. 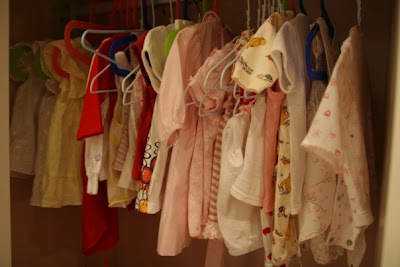 Ashley has tons of clothes and Mommy has none. Mom is cracking her head cause she does not have anything to wear, looks like she will have to do some last minute shopping for the big day. Many people has been asking what Ashley will be wearing...hmmm.... she just received more pretty clothes from Aunty Juliet and Aunty Joanne when they visited last week, it's really hard to decide. Maybe she will wear the dress that Dad's colleagues got for her. 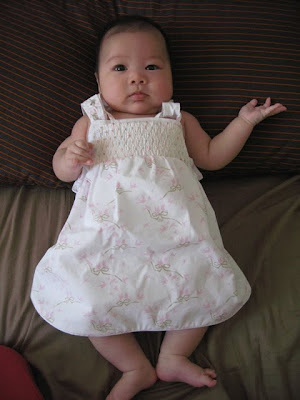 A Baby Dior dress!!! Can we see the dress already? Taa Daa!!! Ashley is a Dior Baby! She has so little hair, I think she needs a Dior hat to go with the dress. Oh and how about a pair of Dior shoes too? Hee hee! Big thank you to Daddy's colleagues for the lovely dress! I think it's great for the wedding! Ooh, Dino - I think you look so dashing in your bow-tie! Can't wait to see the wedding photos...we LOVE wedding photos! And you must tell us what your human got to wear in the end! 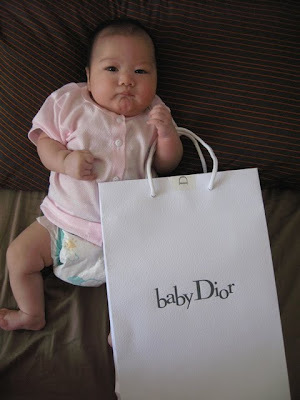 Baby Dior, I love the name! By the way I'm back to blogging! Oops, you have not noticed that I have been missing in action lately, have you? I'm so excited to visit all of my friends again. I read all your previous posts, the red wine steak is irresistable! Baby Ashley's smile after a good meal and in Daddy's arm is priceless! And we are sure that Mommy will find something beautiful to wear! We too are really excited to see the pics of the wedding! Woohoooo! Sorry you can't go to the wedding! Ashley looks adorable with her Dior dress! 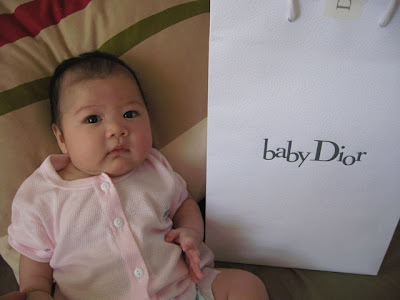 Baby Ashley is looking very posh in her Baby Dior dress! And you look smashing in your bow tie too, Dino!